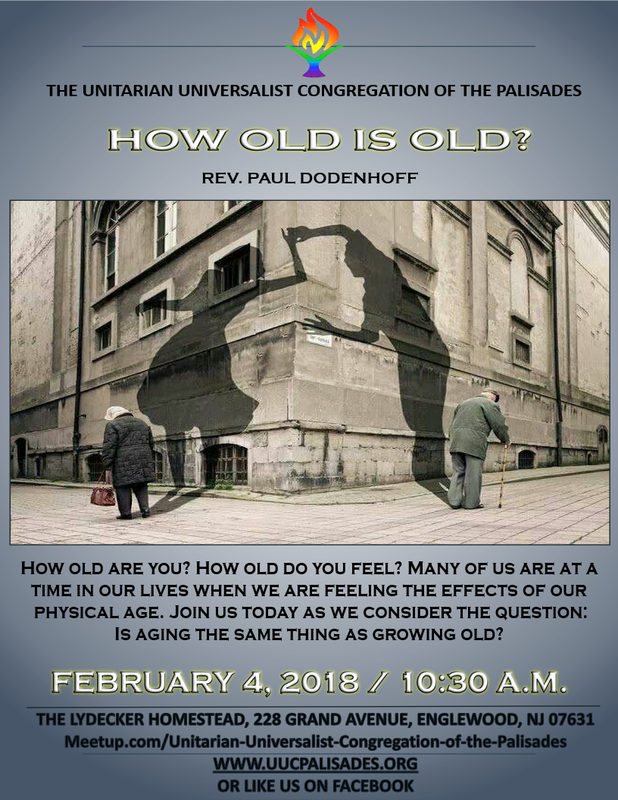 Please join UUCP for our service at 10:30 a.m. led by Rev. Paul Dodenhoff. How old are you? How old do you feel? Many of us are at a time in our lives when we are feeling the effects of our physical age. 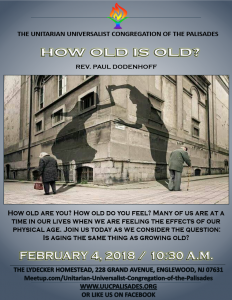 Join us today as we consider the question: Is aging the same thing as growing old?